My old stomping grounds. 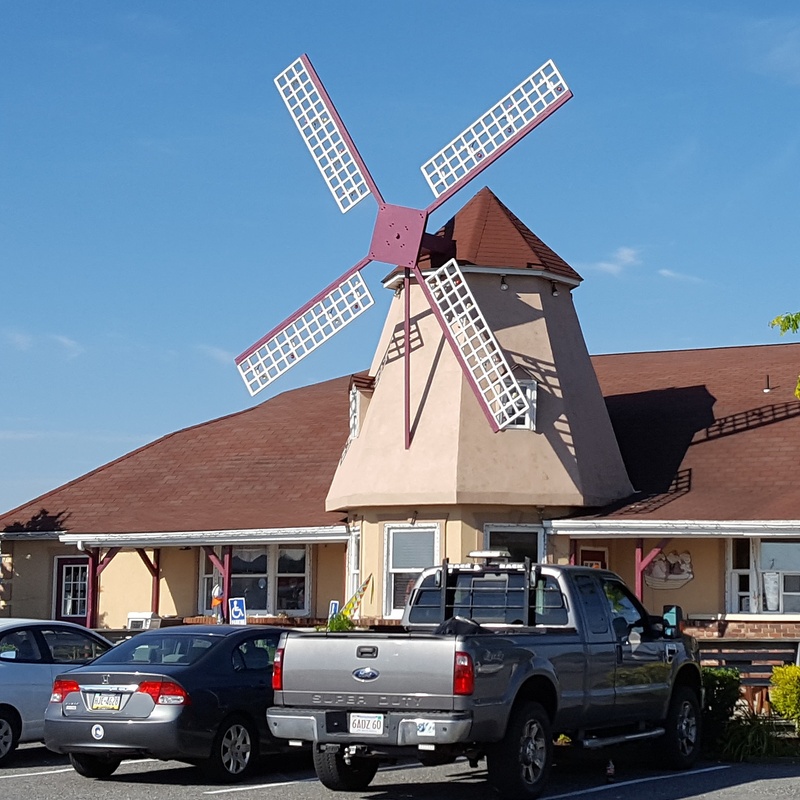 The Windmill Family Restaurant is a place that you can tell the locals frequent. It’s not exactly in the middle of the tourist area, which is actually a bummer for me. I have so many memories here (pretty sure my parents brought me here in a baby carrier back in the early 90’s), which hold up because the place has not changed at all. The restaurant itself has been in operation since the 1950’s. The food is still delicious, the service friendly, and the prices unbeatable for the portions. The only downside is that if you are staying in Lancaster, it is a bit of a hike (about 45 minutes). For this reason, I recommend you eat here on the way in for breakfast, or on the way home for lunch. Unfortunately, I have not been able to try the Windmill for dinner. If it was any closer, this would be worthy of multiple visits on each trip. I don’t think I have ever had a bad meal here. I decided to go with a stack of blueberry pancakes and a side of home fries for a total carb overload. The pancakes were light, fluffy, and full of real blueberries. There were three of them, so large I could not finish the whole serving. The home fries themselves were crispy. My friend got the Big Boy Country Breakfast. 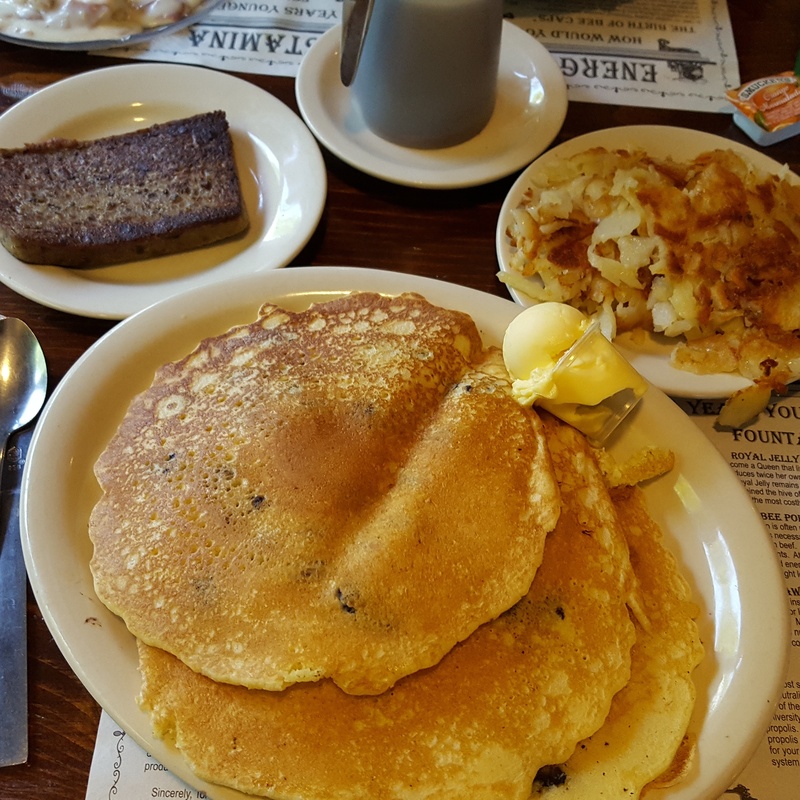 This included two pancakes, two eggs, home fries, choice of meat, and a homemade biscuit topped with creamed chipped beef. He got the scrapple which he proceeded to give to me since he is not a big meat-eater. This was probably second only to Dienner’s. It was a bit thicker and saltier, but that savory pork sausage flavor was robust. Cover it with some sweet maple syrup to cut through the saltiness, and it became an unbelievable combination of flavors. In a case of totally pigging out, he also had a slice of Shoo Fly Pie, which he said was the best one he ever had. I’m going to give the Windmill a solid 4 out of 5 stars. One of these times, I will try to get out there for dinner. They have a huge selection, with some great prices. I can understand why they are always packed. If I lived in the area, I would be there at least once a week. The world needs more restaurants like this. The Windmill Family Restaurant is located at 2838 Main Street in Morgantown, Pennsylvania.